Increasing productivity, maintaining affordability – and upgradeable to Windows 10. It just got better! SINGAPORE – Microsoft last Thursday announced the availability of the Lumia 640 and Lumia 640 XL in Singapore for only SGD299 and SGD429 respectively. The latest devices to join the Lumia portfolio, the Lumia 640 and Lumia 640 XL offer more personal computing and increased productivity through seamlessly integrated Microsoft Office experiences, OneDrive¹ storage and fast 4G connectivity. Both devices will upgrade to and benefit from Windows 10 as it becomes available later this year². Smoothly and quickly access important documents or run all of your favorite websites, apps and games, thanks to the on-board 1GB of memory and powerful quad core Qualcomm Snapdragon processor. 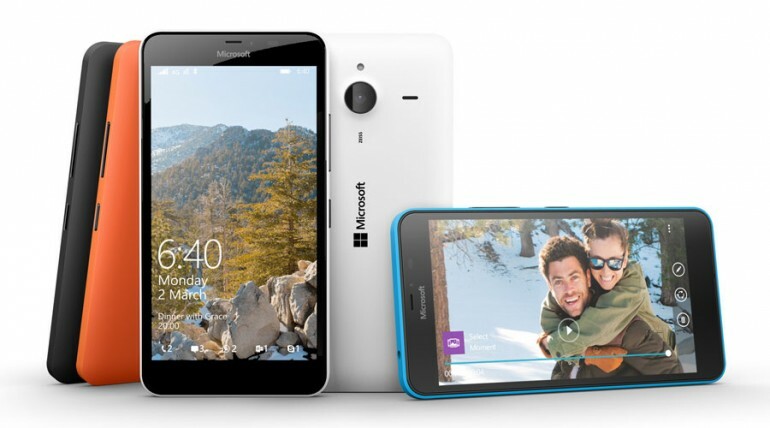 View photos and watch videos on the Lumia 640’s crisp 5” HD display and the Lumia 640 XL’s larger 5.7” HD display. Power through the work day and enjoy almost a day’s of talk time, thanks to the Lumia 640’s long-lasting 2500 mAh battery and the Lumia 640 XL’s 3000 mAh battery. Capture detail rich photos even in low light, thanks to the 8 MP camera on the Lumia 640 with LED flash and 13 MP camera ZEISS Optics on the Lumia 640 XL with LED flash and Lumia Camera right out of the box. Enjoy the latest version of Windows Phone 8.1 and the Lumia Denim update, complete with one-swipe Action Center, Word Flow and Live Folders. Keep up-to-date with the best features through regular updates to Windows, including all the benefits of Windows 10 service as it becomes available later this year. From now to 30 June, the Lumia 640 and Lumia 640 XL will also come with a one-year subscription to Office 365 Personal, which includes the latest Office applications (Word, Excel, PowerPoint, Outlook and OneNote) on the Lumia as well as on one PC or Mac and one tablet. With the Office 365 Personal installed, users will receive an additional 1TB of OneDrive storage, and 60 Skype world minutes. To redeem the offer, users will need to download the Office 365 gift app from the Windows Phone Store by 30 June and activate it by 14 August 2015. Both the Lumia 640 and 640 XL will be available in Singapore at Microsoft Authorized Mobile Reseller in Funan DigitaLife Mall and GadgetWorld, 3Mobile and Handphoneshop outlets from 18 April, Saturday. All 3 local operators and A-Mobile will also be retailing the device with attractive data plans. The Lumia 640 will be available in glossy cyan, orange, white and matte black, and the Lumia 640 XL will be available in matte cyan, orange, black, and white. ¹ 15 GB of OneDrive access comes standard. Additional 15 GB of OneDrive access with activation of Camera Roll. 1TB OneDrive access with activation of included Office 365 Personal subscription. ² Like any upgrade to a new operating system, not every phone will support all possible Windows 10 features. Certain features and experiences will require more advanced future hardware.